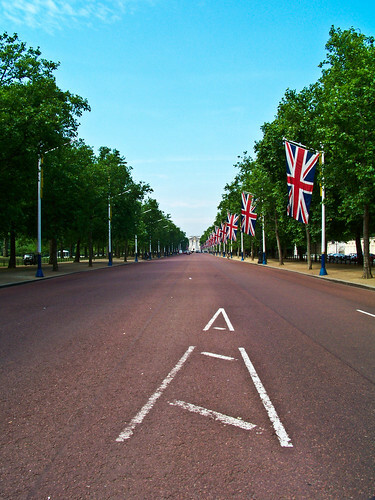 Out of many shots down The Mall towards Buckingham Palace, I consider this one as my best result. Seeing not a single car on the road is – as you might imagine – somewhat a rarity. ~ by Thomas Euler on 13/08/2009.